I have a 4 month old Aussie. Really enjoying spending time outdoors with her. Today I noticed a tick on her belly. I was wondering what everybody uses on their Aussie for protection from flea and ticks. I also use a flea comb. If you do have fleas and nothing else works, CAPGUARD (nitenpyram) is probably the least harmful chemical. It is a small pill that the dog ingests, and it kills the fleas quickly but works for just one day. 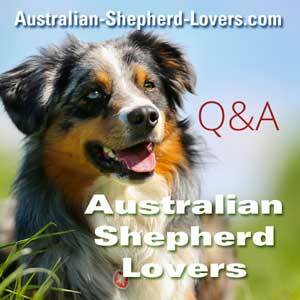 I use the Seresto flea and tick collar for my Aussie and cat. My Aussie is a water dog and the great thing is the collar is waterproof and last up to 8 months. Seriously the best flea and tick prevention I've ever used.